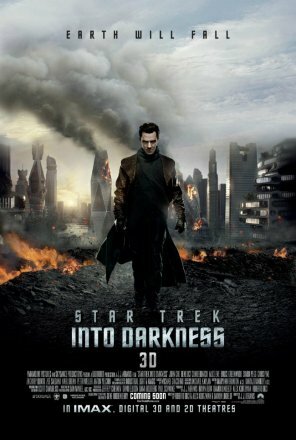 A new poster came out today for Star Trek Into Darkness, and it features the movie’s bad guy, Benedict Cumberbatch, walking away from a burning London. I can’t wait till May 17th when the film comes out. Along with Cumberbatch, the movie also stars Chris Pine, Zachary Quinto, Zoe Saldana, Karl Urban, Simon Pegg, Anton Yelchin, John Cho, Bruce Greenwood, Peter Weller, and Alice Eve.